When you go to Naoshima, you’ll most likely get there through the port of Miyanoura. Once you have landed, you may be then tempted to rush to the bus that will lead you to Honmura to see the Art House Project or to the various Benesse Art Sites (Benesse House Museum, the park and beach, Chichu Art Museum or Lee Ufan Museum), but keep in mind that there are also a few things to see in Miyanoura too. The two most famous ones are Naoshima Bath and the Red Pumpkin, however, in the summer of 2013, a new art gallery opened in the village. It is Miyanoura Gallery 6. The building is an old pachinko parlor that has been renovated by Taira Nishizawa, and while very sober and simple, the building itself is very interesting, especially the way it is linked and integrated to the small park right next to it. The gallery mostly focuses on photography and video installations and it doesn’t show any permanent exhibit. When I last visited it in October, one could see an amazing collection of pictures from Yoichi Midorikawa about Seto Inland Sea life in the 50’s. As I type these lines, the current exhibit shows works from Ryuji Miyamoto and Olafur Eliasson (until June 22). To make sure what’s exhibited when you read this, please check this page from the official site. Of course, the interest of the gallery greatly depends on what exhibit is shown at the moment you visit, but may I advise you to go check it out in any case, you may find something interesting. 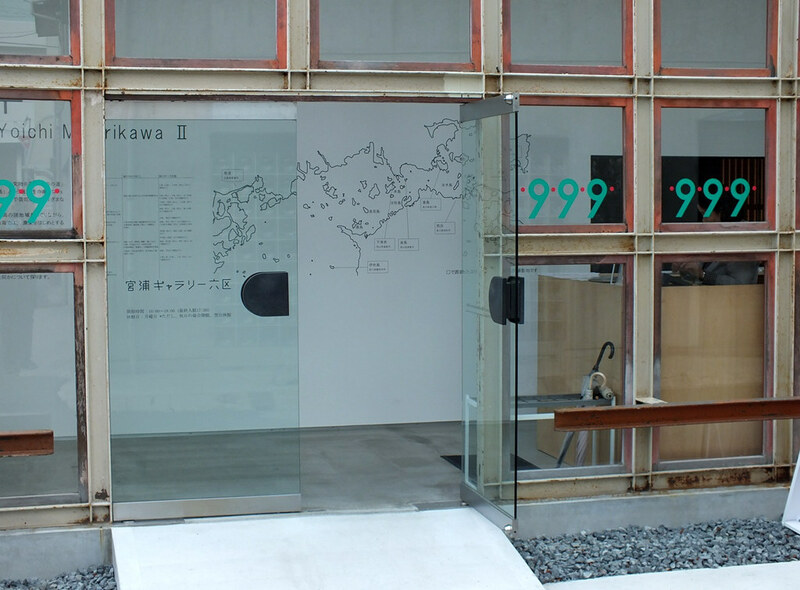 Not mentioning the fact that looking for it will also make you walk through the streets of Miyanoura which is often overlooked by Naoshima visitors as not many artworks are exhibited there. Entrance fee is 310 yens. The usual common sense rules apply when you visit: no food, no drinks, no pets, no phone calls, behave properly in and outside of the building, etc. (those things used to not be mentioned at the entrance of the various galleries, houses and museums on Naoshima, now they are… that concerns me as it may mean that as Naoshima becomes more and more famous, silly tourists with disrespectful behavior are more and more numerous). Unfortunately, no pictures are allowed inside.